The last four days have proved incredibly positive for South Africa’s FNB. During that short period of time, the South African bank enjoyed a high volume of positive conversations on facebook AND on twitter, and launched an innovative mobile vouchers initiative on facebook. FNB is unarguably the most engaged South African financial institution on social media, led by one of the most active banking CEOs on twitter worldwide. Wondering what happened in the last four days? Find out more about two events and initiatives which took FNB’s reputation of being customer centric and innovative to the next level. FNB’s proficiency in social media doesn’t come as a surprise. By experience, the best way for large organizations to embrace social media and be successful at engaging with their customers, is to have internal sponsors, ideally Senior Executives, who totally get it. FNB’s CEO, Michael Jordaan is a rarity in banking. Not only is he a leader of a large leading bank who successfully empowers his team, he also loves engaging with his customers and his employees on twitter. I invite you to follow him (@MichaelJordaan), you will quickly notice that Michael tweets on regular basis. I’d like to point out two other Senior Executives in banking who do an excellent job with social media: Peter Aceto – President and CEO of ING Direct Canada and Jean Philippe – CEO of Credit Agricole Pyrenees Gascogne. I invite you to check our list of Banking / Financial Services / Insurance Senior Executives on twitter. Last year, the FNB team executed what in my opinion is still one of the best product launches on twitter in the financial services industry. But let’s get back to the two stories I wanted to flag on this article. When I found out about this launch via my google alerts, I must admit I felt rather excited. I am not exactly sure what I was expecting but in essence FNB has introduced FNB Vouchers, through which its customers can buy vouchers using mobile banking, then send them as gifts to their friends via social networking site Facebook. The vouchers, which are available to all of FNB’s registered cellphone banking users, can only be redeemed in South Africa. The recipient can choose to redeem the voucher either as prepaid airtime, or to convert it to cash by using the bank’s eWallet solution. This is a good move, not as innovative as Commonwealth Bank’s Kaching app which facilitates mobile payments via facebook,but still a good move which will generate a good amount of press and blog coverage far beyond South Africa. In a nutshell, Standard Bank decided to express its strong disagreement with FNB -accusing its competitor of lying i.e. their claim to be the first- in a very public manner, that is on their main twitter account. The consequence was a high volume of tweets from angry FNB customers defending their favorite bank and pointing out Standard Bank’s lack of customer centricity and other weaknesses. Again, one had to expect such a strong response from the advocates of the most social bank in South Africa… On that note, I invite you to check Australia’s NAB own experience with strong social media backlash. This story is well documented here, here and there. Kudos to Bellinda Carreira – Standard Bank’s Director of Interactive Marketing for explaining this controversial move. 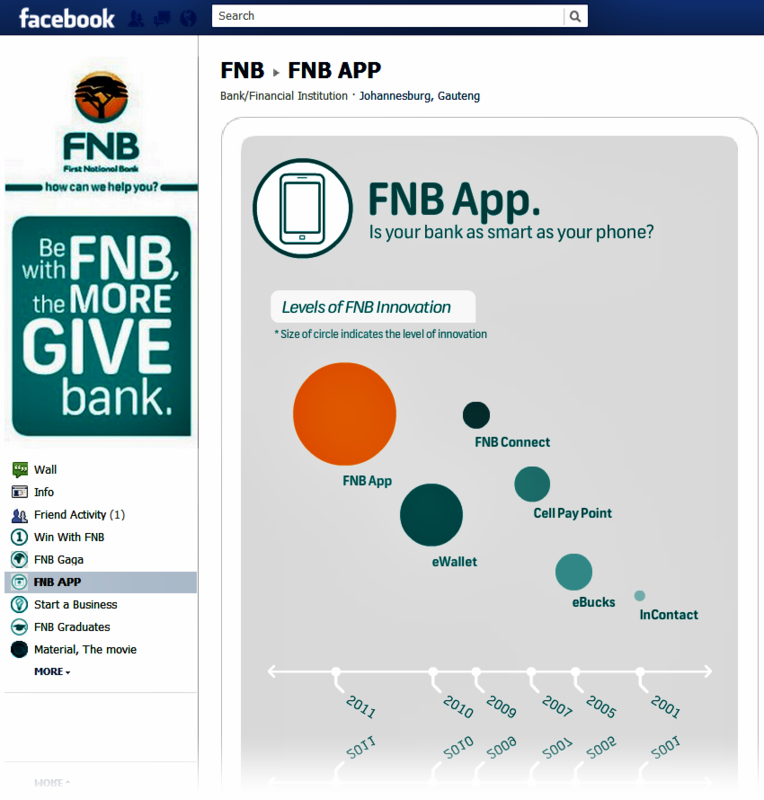 How did FNB built this incredibly engaged follower base? By providing a good level of customer support on twitter (in ‘close tor real time’?) via their dedicated account @RBJacobs. Oh, and remember it took a lot of time and energy for the bank to learn how to understand micro-blogging and to find its voice… Financial institutions, be brave. Believe in customer support on twitter. I would love to hear your thoughts on the hot topics of a deeper mobile / social integration in banking and the importance of buiilding an engaged community of brand champions.